SVS has firmly established itself as an online retailer of loudspeakers, first with its highly acclaimed subwoofers, and then through its Ultra and Prime speaker lines. The Ultra line comprises its higher-end speakers, the Prime line its more budget-friendly models. I first became acquainted with SVS through my review of the Prime Tower speaker, which I thought punched well above its price. 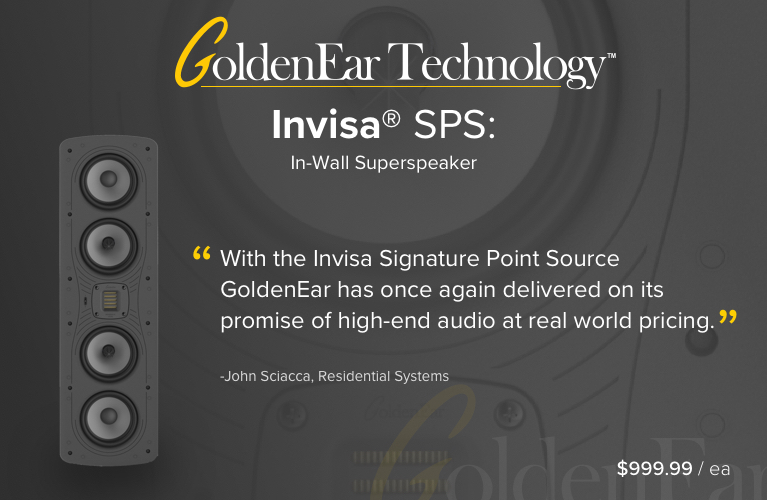 Unlike other speaker brands that first sold through bricks-and-mortar retailers and now sell online, SVS has taken the opposite route. 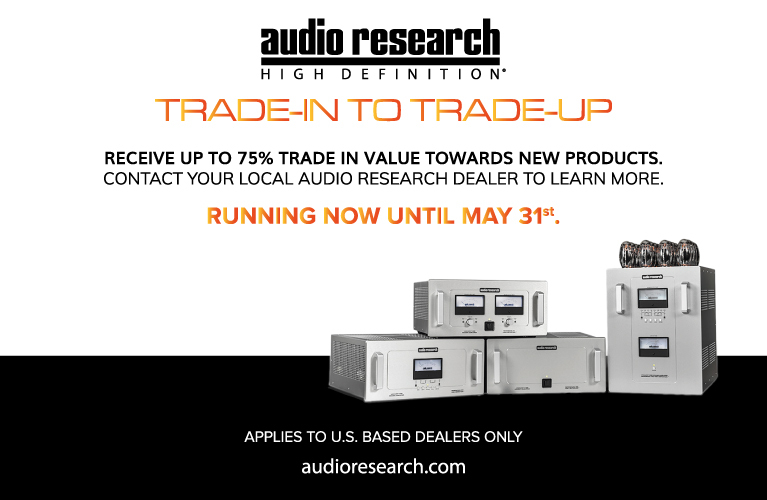 They now sell through other online retailers, such as Crutchfield, as well as bricks-and-mortar establishments. This will make it possible for more customers to listen to their products before buying. I was intrigued by SVS’s Prime Elevation speaker, designed for the height channels of immersive surround-sound codecs like Dolby Atmos and DTS:X. The speaker has a wedge-shaped design that promises to be ideal for ceiling installation, something I was anxious to try in my home theater. But rather than two pairs of Elevations to add to my own speaker array, SVS sent me a full Prime 5.1.4 system: Prime Bookshelf speakers ($249.99 USD each) for the front left and right channels, a Prime Center speaker ($349.99), two Prime Satellite speakers ($134.99 each) for the surround channels, an SB-2000 subwoofer ($699.99), and four Prime Elevations ($199.99 each) for the height channels. The entire system retails for $2619.90 in the standard Black Ash finish. Although the Prime line of speakers represents SVS’s budget line, you wouldn’t know it by looking at them. My review samples came in a gorgeous Piano Gloss Black, which, unlike in other speaker lines I know, costs only a bit more than SVS’s Black Ash. The entire system in Piano Gloss Black costs only $580 more than in Black Ash, for a total of $3199.90 -- money well spent, in my opinion. (Piano Gloss White is available for the same price as Piano Gloss Black, but only for the SB-2000, Prime Elevation, and Prime Satellite.) Although all but the Elevation are rectilinear boxes, their rounded edges and beveled corners give them a bit more character than most speakers at these prices. Common to all Prime models is the tweeter -- a 1” aluminum dome covered by a perforated screen and with a frequency response specified as extending to 25kHz. The Prime Bookshelf ($249.99 each) measures 13.2”H x 8”W x 9.7”D and weighs 15.5 pounds. Accompanying the 1” tweeter is a 6.5” polypropylene midrange-woofer, crossed over to the tweeter at 2.3kHz. A 1.7” rear port helps extend the low end, for a respectable frequency response of 48Hz-25kHz, ±3dB. To me, the Bookshelf is an ideal size for a bookshelf model, especially one with enough bass response that a subwoofer would be an option rather than a necessity for two-channel listening. The Prime Satellite ($134.99 each) substitutes a 4.5” midrange-woofer for the Bookshelf’s 6.5” cone. It’s also significantly smaller than the Bookshelf, at 8.9”H x 4.9”W x 6.3”D and 6.5 pounds. The crossover frequency is the same 2.3kHz as in the Bookshelf. The Satellite also has a 1” rear-firing port, and a decent frequency response of 69Hz-25kHz, ±3dB. In the rear panel is a keyhole, for easy wall mounting. The Prime Center ($349.99 each) is not the usual horizontal center-channel speaker with a tweeter between two midrange drivers, but is actually a three-way design: two 5.25” polypropylene woofers flank that 1” aluminum-dome tweeter and, below the tweeter in its own sealed chamber, a 3.5” polypropylene midrange driver. This sort of array, SVS claims, reduces lobing and comb filtering on the horizontal axis. The tweeter is crossed over to the midrange driver at 2.4kHz, which in turn hands off to the woofers at 350Hz. The Prime Center measures 18.6”W x 7.7”H x 9.2”D, weighs 20.2 pounds, has two 1”-diameter ports in back, and a frequency response of 48Hz-25kHz, ±3dB. The Prime Elevation ($199.99 each) has some unique characteristics. First is its trapezoidal shape: 9.25”H x 5.4”W x 7.9”D at one end, and 9.25”H x 5.4”W x 4.5”D at the other (it weighs 7.8 pounds). Another is its patent-pending mounting bracket, which screws into the back of the speaker and allows the Elevation to be mounted in three orientations: with its angled surface pointing up, down, or to the side. If you install the Elevation close to the ceiling, you’ll want its angled driver baffle pointing down toward your listening seat. If you don’t mount it quite so high, you can angle it up to bounce its output off your ceiling. And when used not for a height but a surround channel, the Prime Elevation can be mounted on its side, pointing toward or away from your listening seat, depending on whether you like your surround effects more diffuse or direct. The Elevation can also be placed on a low stand and used as a left/right front, center, or left/right surround speaker. In fact, you could use it in any of the 11 non-subwoofer positions of a 12-channel 7.1.4 speaker array. In addition to its 1” aluminum-dome tweeter, the Elevation’s angled baffle has a 4.5” polypropylene midrange-woofer; a 1”-diameter port fires to the rear. The magnetized SVS logo on the grille can be reoriented to be upright no matter how the speaker is mounted. The Prime Elevation’s frequency response is specified as 55Hz-25kHz, ±3dB, with a crossover frequency of 2.5kHz. All of the Prime speakers in this system were specified as having a sensitivity of 86-87dB/W/m. This indicates that they’ll need some power to hit high sound-pressure levels, but I found that a decent receiver could easily drive them to loud volume levels in my medium-size room. The SB-2000 subwoofer ($699.99) is fairly compact at 14.6”H x 14.2”W x 15.4”D and 34.8 pounds. Its 12” aluminum-cone woofer is driven by a class-D amplifier specced to output 500W RMS and capable of 1100W peaks. Unlike the Prime speakers, the SB-2000 is a sealed-box design, with a claimed frequency response of 19-220Hz, ±3dB. Its controls are conventional: knobs for volume, phase (0-180°), low-pass filter (50-160Hz), and stereo line-level inputs and outputs. The curved grille gives it a bit of design flare. I used the SVS speakers primarily with an NAD T 777 V3 A/V receiver, along with my Integra DTA-70.1 amplifier to power the height channels. I began with the Prime Center, placing it directly in front of my listening seat and 9’ away, on a low stand below my projection screen. The Prime Bookshelfs were placed to each side on stands, about 2’ above the floor, and about 20° along an arc described by them and the Center, and the same 9’ from my seat. I used two Prime Elevations as front height speakers, mounted close to the ceiling and almost directly above the Prime Bookshelfs. I placed the second pair of Prime Elevations close to my existing in-ceiling speakers: midway between my room’s front and rear walls. In the setup menu of the NAD AVR I designated them as the Top Middle speakers. The Prime Satellite speakers were mounted on 28”H stands to the sides of and 5’ away from my listening seat, and the SB-2000 went into the usual spot for subwoofers in my room: the front right corner. 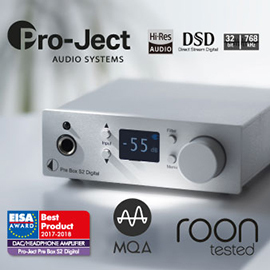 The NAD T 777 V3 AVR is equipped with Dirac Live room-correction software, but I didn’t use it, to get a better sense of the Primes’ sound characteristics. I played around with the crossover settings manually, ending up with the Bookshelfs at 80Hz, the Center at 80Hz, the Satellites at 100Hz, and the Elevations at 80Hz. The SB-2000 sub’s low-pass crossover was set to 120Hz. A great film that I used to test the Prime Elevation home-theater system is Blade Runner 2049. As a fan of the original Blade Runner, I wasn’t disappointed by the stunning visuals and immersive soundscape. The BD edition includes a Dolby Atmos soundtrack, which made use of the Prime Elevation speakers to enhance the atmosphere. A prime example is in chapter 1, as K’s spinner descends to a farmhouse to “retire” the Nexus-8 replicant Sapper Morton. The camera angle is low, from the greenhouse garden, and the sound seamlessly follows the spinner from the front height speakers to the center height speakers. Each Prime Elevation had wide dispersion, which made the transitions seamless, and gave me the impression of being in a dome of sound. Another BD with a great Dolby Atmos mix is The Mummy (2017). Although I don’t much care for the film itself, the broad soundscape provided by the Prime Elevation ceiling speakers made it much more enjoyable. Throughout the film are caverns and huge underground archaeological sites. The reverberation produced by the Prime Elevations enhanced the believability of these spaces much more effectively than a 5.1- or 7.1-channel array could. The ceiling speakers also performed well with discrete effects, such as the ravens squawking in many scenes throughout this film. Another aspect of the Prime sound system that stood out for me was the absolute timbral matching of each speaker to all the others. In chapter 2 of Blade Runner 2049, the audio from the 3D ads panned through the surround speakers with such realism that I felt I was in the scene, not listening to speakers. Kudos to SVS’s designers for having pulled off the difficult task of so closely matching the sounds of four different types of speakers with different crossovers in boxes of different sizes and shapes. To test their timbral match, I swapped out one Prime Elevation for a Prime Bookshelf. The system’s sound was unchanged. When I listened to two-channel recordings, I did hear a difference in sound between the Elevation and the Bookshelf, mostly in the bass, but even this difference was smaller than I would have expected. The Prime Center was wonderful for dialog intelligibility. Although many scenes in Blade Runner 2049 have no dialog, in chapter 1, Sapper Morton’s deep, resonant voice was reproduced with crystalline clarity through the Prime Center -- something that other, comparably priced center channels have trouble doing. 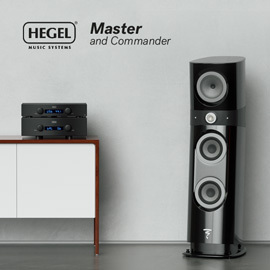 This was no doubt due to the arrangement of the tweeter and midrange drivers on the Center’s baffle, which makes the speaker a bit taller than the norm for its price class. I’m delighted that SVS took this design approach -- it paid off in both clarity and depth of bass. In fact, the Prime Center outperformed many far more expensive center speakers, especially those with the standard midrange-tweeter-midrange array. The Prime Center also reproduced off-axis voices with ultra clarity, which made for an effortless viewing experience over a wide listening area. The Prime system was also a stellar performer in terms of bass impact. Much of this had to do with the wonderfully compact yet powerful SB-2000 subwoofer. The opening shot of chapter 1 of Blade Runner 2049 is an extreme close-up of an eye, and the music has heavy bass that rattled my walls. In the fight between Deckard and K (chapter 11), punches landed with powerful thuds through the speakers. In other parts of the scene, 20th-century pop music exploded out of the silence, and I was impressed that the Prime speakers handled it with aplomb -- every time the hologram of Elvis’s Las Vegas stage show appeared, it jarred me. I’ve had a number of different speakers within the price range of the SVS Prime home-theater system, but the Prime Elevation model is unique, in or out of its price range, for both its shape and its versatility. Although primarily marketed as a height speaker, the Elevation can also be used for any channel of a surround system -- something I don’t think can be said for any other speaker on the market. I currently use Definitive Technology’s ProMonitor 1000 speakers (currently $219 each) to complement my main Def Tech BP8060ST speakers. But the Prime Elevation is more suitable as a height speaker than these or any conventional bookshelf speaker -- its shape gives it the huge advantage of being able to direct sound down toward my listening seat. I guess I could angle the ProMonitor 1000s downward to get the same effect, but the Prime Elevation and its genius mounting bracket have already done the hard part for me. A good comparison to the Prime Bookshelf is Wharfedale’s Diamond 220 bookshelf speaker ($349/pair). The Wharfedale is of similar size, but has a 1” fabric-dome tweeter and a 5” Kevlar-cone woofer. When I compared the two with two-channel music, such as Chantal Kreviazuk’s In This Life (16-bit/44.1kHz FLAC, Pheromone), I found that her lush voice was reproduced very smoothly through the Diamond 220. It sounded very similar through the Prime Bookshelfs, with just a hint of high-frequency emphasis. In its favor, the Prime Bookshelf was able to go lower in the bass. Although the Bookshelf is rated only slightly higher in sensitivity than the Diamond 220 (87dB/W/m vs. 86dB/W/m), on paper, they should place about the same demand on a power amp. However, I found that the Prime Bookshelf was easier to drive; the Diamond 220 needed a lot more power. You’d think that my Paradigm Servo-15 V2 subwoofer ($1500, discontinued), with its 15” woofer and bigger cabinet, would play much louder and go much deeper than the 12” cone of the SVS SB-2000, but I heard little difference between them. Perhaps in a larger room and/or with pipe-organ music, the Paradigm could go lower and louder. But in my room, the SB-2000 performed remarkably similarly to it. In fact, in the 30-40Hz range, where most of the bass action of blockbuster movies takes place, the SB-2000 packed more punch. This was evident in chapter 7 of Blade Runner 2049, in which a missile takes down K’s spinner. The resulting crash included quick bursts of LFE energy through the SB-2000 that shook my walls more than could the Servo-15 V2. When I replaced my usual home-theater speaker system, based on Definitive Technology’s BP8060ST tower speakers, with SVS’s Prime 5.1.4 system, I didn’t think the SVS array could ever match the dynamics of my references. My Def Tech towers have 10” powered subwoofers of their own, which should be a huge advantage. But properly balanced, the SVS Prime and Def Tech systems provided equally exciting home-theater sound. Where the SVS excelled was with the Prime Elevation ceiling speaker, whose considerable versatility permits a multitude of placement options. If you make the move to an immersive home-theater system that includes height speakers, I can’t think of a better height model than the Prime Elevation -- you should be able to find great spots for them in your room with little fuss. Another star of the SVS Prime system was the Prime Center, which reproduced dialog with a clarity that belied its modest price. Finally, the SB-2000 subwoofer provided effortlessly deep, loud bass that was better than any $800 subwoofer that I’ve experienced -- and it costs only $700. The SVS Prime home-theater surround-sound array gets my highest recommendation.